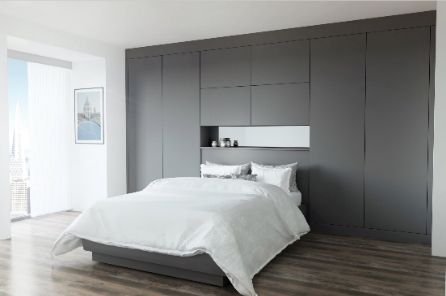 ECF announces the launch of AUSTERHOUSE ALTO made to measure kitchen and bedroom doors to supersede the current ECF PHOENIX edged doors offering. AUSTERHOUSE ALTO is a 2D Laser Edged door, made in England using proven materials, in-house lamination and the latest Homag manufacturing technology and comes with a 6 years’ manufacturer backed trade warranty. 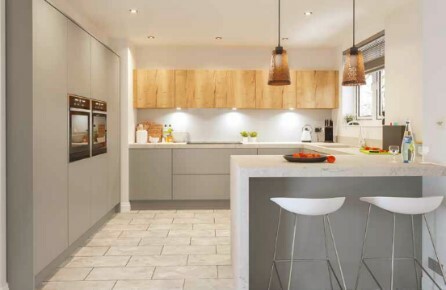 AUSTERHOUSE ALTO has been engineered to provide flexible choices, consistency and certainty for peace of mind and a range of quality merchandising materials (consumer brochures, door swatches, digital assets and a dedicated website (coming soon) to help build customers business. All doors are made to order, simply priced next size up without non-standard surcharges. Curved and angled doors and, pre-glazed frames: clear, frosted and mirror are all available. Product is delivered in bespoke sized cardboard boxes and a drilling service is available to help save customers installation time. Twenty-eight fresh and popular finishes – high gloss, super matt, woodgrain and mineral in three price groups to help achieve simple pricing with more to come. 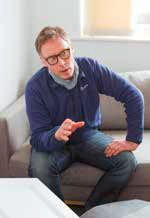 Phillip Hoggar, ECF Doors Product Manager stated “ECFs continued investment in our doors portfolio has the objective to achieve peace of mind, consistent product quality and flexible choices for our customers and their consumers. To help customers build their business we provide a range of modern and bright merchandising collateral including consumer brochures, swatches and samples. Customers are connected with a local dedicated Territory Sales Managers who is tasked to help build their business.